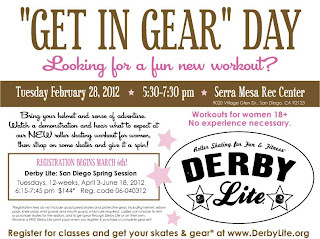 Derby Lite is Coming to San Diego! Get a Preview & "Get In Gear"! 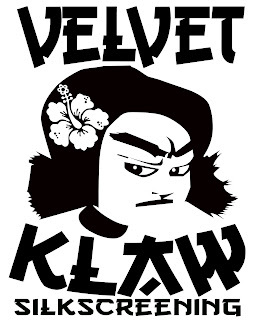 Looking for a unique workout that's never boring? Try Derby Lite! Weekly workouts include dynamic stretching, free skate time, learn-to-skate basic skills lessons, high intensity skating drills, upper body exercise and cool-down stretching. In order to participate safely, you should be able to engage in a mid-intensity cardio drill for 20 minutes without stopping, and be able to fall down and get up on your own (you'll learn how to fall properly). 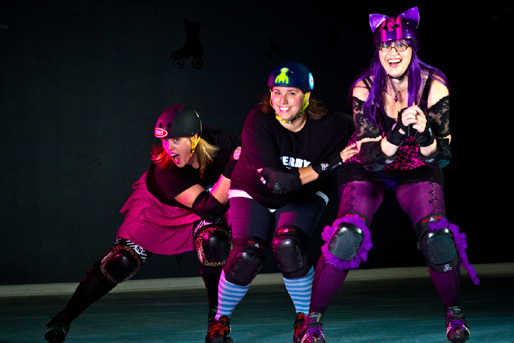 Practice skills and drills related to competitive roller derby without the impact of derby regular (think of it like flag football or no-check hockey). 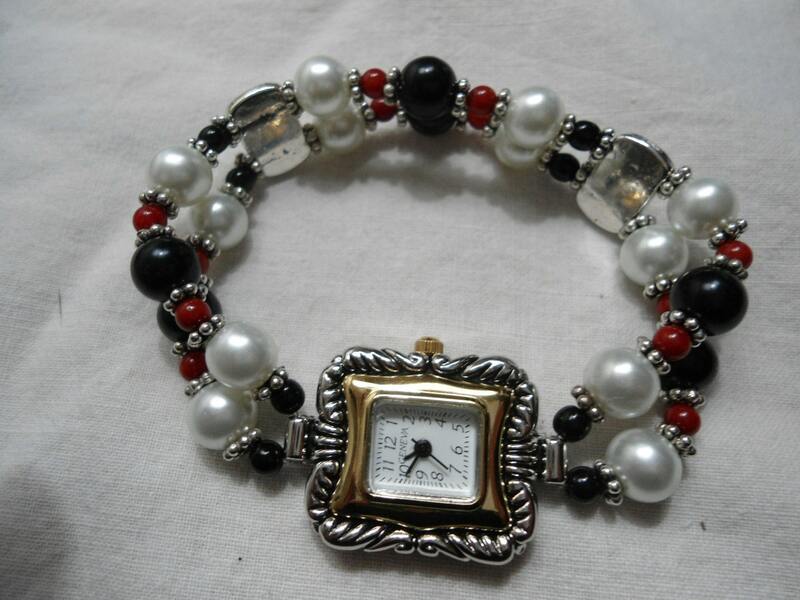 Ladies build strength, endurance, balance, agility, and flexibility while learning a new skill. 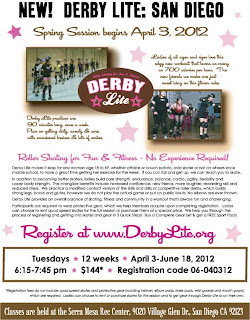 Derby Lite is also a great way to build confidence, make friends and reduce stress. 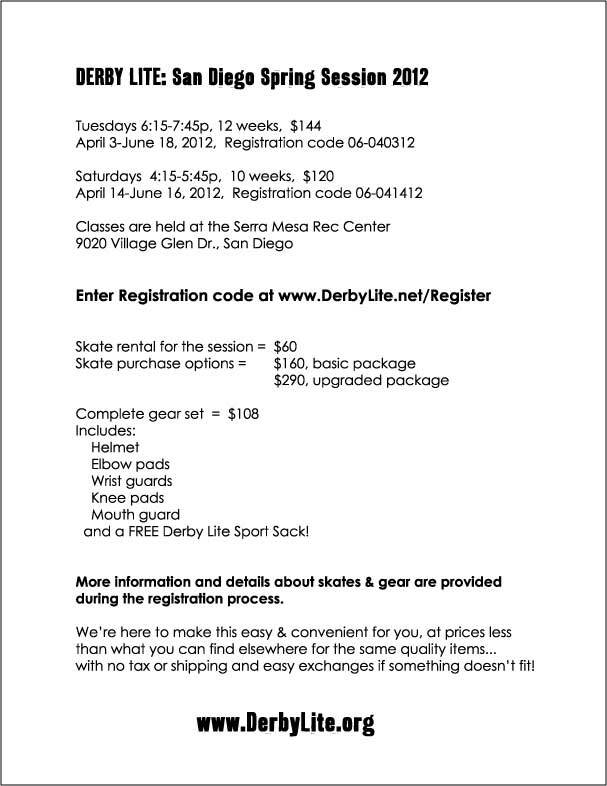 Beginner level classes are set to begin at the Serra Mesa Recreation Center in early April! 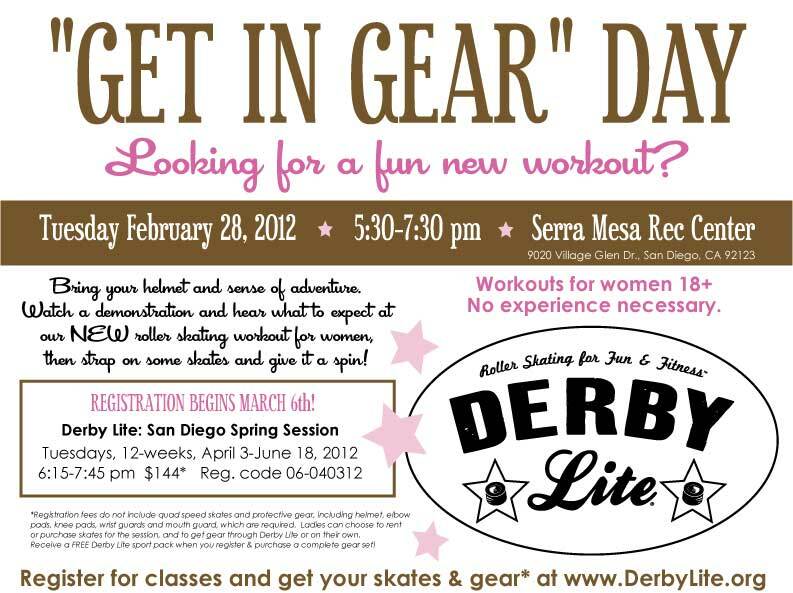 Come and check out the "Get In Gear" event and see what it's all about! 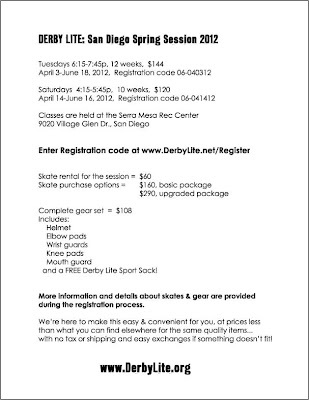 The Serra Mesa Recreation Center is located at 9020 Village Glen Drive., San Diego, CA 92123.